This web site is owned and operated by Mantra Audio who are completely dedicated to your total satisfaction. If you have any suggestions or comments or if you need to contact us, please email us using the link on the store page or use the details below. The majority of styli are now no longer available as original equipment and unless stated 'Original', the replacement styli supplied are precision manufactured in Switzerland or Japan to high quality standards that ensure performance closely matches original as detailed. Many of these styli were fitted to universal cartridge types commonly used by various manufacturers of turntables and record players. Stylus part numbers and colours described are original and these may vary on supply according to supplier package labelling and manufacturer rationalisation for limited production runs. The styli shown are only suitable for the original cartridge fitted by the manufacturer of the player and may not be compatible if the cartridge has been replaced at sometime. Please check that the stylus shape shown in the image is the same as the one fitted before ordering. If in doubt then please email a photo of the stylus required for identification. Because of Dealer Agreements please note, it may not be possible to process some cartridge orders to Worldwide destinations and certain products are only available for shipping within the UK and EEC. When buying cartridges at the special Exchange price for delivery in the UK the exchange item must be returned within 7 days of receipt and for EU 14 days of receipt of the new cartridge ordered. If the exchange items are not received within 14 days then we will contact you again to clarify your intentions with a view to charging the difference in price to your credit or debit card. Exchange returns to Mantra Audio should be sent Tracked and Signed to cover insurance in case of loss. 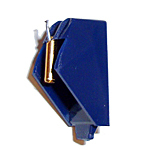 Cartridges are only available at the Exchange price for delivery in the UK & Europe and NOT Worldwide. We accept card payments by Visa and MasterCard. Products are priced in GB Pounds and If you are shopping from a country other than the UK, place your order and your card company will convert the transaction to your own currency at commercial rates on the date of transaction. The currency converter link in the left sidebar can be used to give an indication of the price of goods purchased in GB Pounds in another currency. The currency converter is only an indicator and should not be relied upon to give an exact conversion as rates change daily and will vary with actual rates applied by credit card companies on the date of transaction. We recommend that you complete the order first so that shipping charges are included to give an indication of the total for currency conversion before your order is confirmed and committed. We do not charge for any item until it is ready to ship. Backordered items are not charged until they are shipped. If you do not wish to pay online, we can take your order by telephone. UK customers can still pay by a cheque from a UK bank or Postal Order sent with an order to our business address. When confirmation of your order is received, this is to indicate that we have received your order. It does not indicate that a contract exists between us. We will indicate acceptance of your order, and hence a contract between us, when we send you the items ordered complete with a receipted invoice. We have included this term to protect us in the case that a mistake has been made in pricing, we have inadvertently under-priced goods, or we are no longer able to supply a particular product for some reason. In the case of a change of price, we will always contact you first to ensure that the price is acceptable. Our prices include for postage, packing and insurance to UK delivery addresses. We will normally send your order to you in 1 to 3 business days. International orders are generally received within 10 business days after sending. European customers should allow up to 20 business days and Worldwide customers up to 25 business days before an item that has not been delivered can be considered lost in transit. Orders in excess of £30 in value are sent by Royal Mail Tracked and Signed For. There are no guaranteed delivery dates available for deliveries outside the UK as this is often subject to the efficiency of the mail service in the receiving country. You must inform us within two working days if the goods are lost or damaged in transit so that we can make a prompt claim for loss or damage in transit. Please quote your order number in all correspondence. You agree that proof of delivery supplied by your postal service is sufficient evidence to establish that goods have been received. Mantra Audio is not VAT registered and the price advertised is the total price you pay excluding shipping which is free to UK delivery addresses. Please be aware that if your order is for delivery to a country that is not a member of the EU then additional import tax and/or customs duties may be applied at the delivery country border control point. We recommend that you check out any tax or import duties that may levied in the receiving country as we cannot be responsible for any such charges applied. Credit and debit card transactions are processed through SellerDeck Payments to ensure security of payment data. The invoice address given MUST be the same as that which appears on the customers credit/debit card statement and held by the Card Issuer. We know of no documented cases of credit card fraud using information from our online shopping system. All credit and debit card transactions are SSL encrypted using 128 bit encryption, secure, private and tamper proof (padlock https://) and SellerDeck Payments powered by CreditCall is a PCI (Payment Card Industry) DSS (Data Security Standards) Level 1 Certified Payment Service Provider. Card details are not held in clear text on any web site. All our Original Equipment carry full manufacturer's guarantees. Other manufactured styli replacements are guaranteed for 12 months against quality and performance defects from the date of purchase. This does not include for damage during installation, cleaning and stylus wear. Items received faulty and/or damaged should be returned either for refund and/or exchange within 7 days of receipt complete with all manufacturers original packaging. Mantra Audio do not disclose buyers' information to third parties other than when order details are processed as part of the order fulfilment. In this case, the third party will not disclose any of the details to any other third party. Cookies are used on this shopping site where they are strictly necessary for the site functionality. 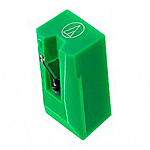 They are used to aid navigation, and to keep track of the contents of your shopping cart. If you log in to an account, your logged-in status is recorded in a temporary cookie. If you select the 'Remember Me' Option in the checkout, a cookie will be used to remember your details. You can turn off cookies by blocking them in your browser Privacy settings. If you turn off cookies, you will be unable to place orders or benefit from the other features that use them. Mantra Audio owners of this website is a business partnership (collectively referred to as "Mantra Audio", "the partners", "we" or "us" in this policy). Maintaining the security of your data and protecting your privacy is extremely important to us whether you shop with us online or call us to purchase products. This policy sets out where and how we collect your personal information and how it will be used, as well as your rights over any personal information we hold about you according to the requirements of GDPR (General Data Protection Regulations) and other relevant legislation. Our Data Protection Officer (DPO) is Martin Nichols, the business partner designated with overall responsibility for the development and implementation of this policy. When you shop online, you consent to the use and transfer of your information under the terms of this policy. More generally the supply of goods and services is governed by our Terms and Conditions to be agreed when an order is placed. Please ensure you have read and understood them in addition to this policy. Mantra Audio is committed to respecting your privacy rights. We pledge to handle your data fairly and legally at all times. We are also dedicated to being transparent about what data we collect about you and how we use it. Mantra Audio may use your personal data for electronic marketing purposes (with your consent) occasionally to keep you informed about new products, promotions and special offers on existing products that may be of interest and relevance to you as an individual. 1. making use of the simple "unsubscribe" link in emails. 2. contacting Mantra Audio via the contact channels set out in this Policy. In order to make certain services available to you, we may need to share your personal data with some of our service providers and suppliers. These include delivery, payment service providers and manufacturer/suppliers of goods. Mantra Audio only allows its service providers to handle your personal data when we have confirmed that they apply appropriate data protection and security controls to ensure they can only use your data to provide services to Mantra Audio and to you, and for no other purposes. Mantra Audio use a third party customer feedback service to record and publish product reviews. The service provider we use is Codepath and the review information that appears on the Soapbox pop-up pages (i.e. when you click the 'Read reviews' links) reads data is that is stored centrally from the Codepath server in real time. We may send you an email after placing an order inviting you to review the product(s) purchased but only if you have consented to receive such communication when an order is placed and we appreciate you may choose to ignore and delete such communications. Mantra Audio use Google Analytics, to collect standard internet log information and details of visitor behaviour patterns. We do this to find out things such as the number of visitors to the various parts of the site. This information is only processed in a way which does not identify anyone. We do not make, and do not allow Google to make, any attempt to find out the identities of those visiting our website. We will not disclose your personal data to any other third party, except as set out below. We will never sell or pass on our customer data to other organisations or persons for marketing or any other purposes. - if we are sold or change ownership to another organisation to enable them to provide services to you. We will retain your information for a reasonable period in order to fulfil our commitment set out in this policy or as long as the law requires or permits. The minimum period that we have to keep your data is 6 years to account for goods and services supplied required by HMRC. Mantra Audio is committed to keeping your personal data safe and secure at all times. - implementing controls required to maintain our own PCI DSS compliance. - internal policies setting out our data security approach and training for the partners and authorised employees. We will never ask you to confirm any bank account or credit card details via email. If you receive an email claiming to be from Mantra Audio asking you to do so, please ignore it and do not respond. - when creating a password, use at least 8 characters. A combination of letters and numbers is best. Do not use dictionary words, your name, email address, or other personal data that can be easily obtained. We also recommend that you frequently change your password. - fulfilling our duties to our customers, colleagues and business partners. Like most websites, cookies are used on the Mantra Audio website to collect information. Cookies are small data files which are placed on your computer or other devices (such as smart 'phones or 'tablets') as you browse this website. They are used to 'remember' when your computer or device accesses our websites. Cookies are essential for the effective operation of our website and to help you shop with us online. They are also used to tailor the products and services offered and advertised elsewhere during browsing activities. - For technical purposes essential to effective operation of our website, particularly in relation to on-line transactions and site navigation. You have the right to lodge a complaint with the Information Commissioner's Office. Further information, including contact details, is available at https://ico.org.uk. We reserve the right to amend this Policy at any time, in the event that this becomes necessary after initial release, or in the event that it becomes necessary with respect to additional, deleted, modified or amended services provided by Mantra Audio. We will not personally notify you of any amendments to this Policy. Users are urged to check this Policy frequently in order to determine whether any changes have been made. Users understand and agree that continued use of the Mantra Audio web site assumes that they have read and accepted this Policy, as it may be amended from time to time. Goods are not supplied for trial and return and no refund will be made in such cases. Because of the nature of Hi-Fi Cartridges, Styli, Headphones and including all items in sealed manufacturers packages, if the seal has been broken or the items are shown to have been used items cannot be returned under the Distance Selling Regulations and Consumer Rights Act. We must be notified within 7 days of any incorrect order/items received. Goods returned for Exchange or Refund which have been ordered incorrectly or in error is the responsibility of the Customer who must pay the return postage or shipping cost. A deduction of £1 will be made on all UK Refunds to cover the cost of postal/packing charges incurred and included in the price. Shipping charges for orders sent outside the UK are not refundable. You are responsible for the cost and risk of loss or damage when returning the goods, so you should obtain proof of postage for goods up to £30 in value and for £30+ value use a tracked and signed for service with sufficient postal insurance to cover their value. This cancellation policy does not affect your rights when we are at fault - for example, if goods are supplied faulty. Please contact us by e-mail before any goods are returned. A Refund including the return postage cost will be made for goods found to be defective or faulty providing the goods are returned intact complete with manufacturers original packaging within 7 days of receipt and the returned goods are found to be faulty by oursleves or manufacturer. This does not affect your rights regarding manufacturers guarantees for products supplied within the guarantee period as applicable. We accept payment by UK GBP cheque drawn on a London clearing bank, GB Postal Order, Giro Bank Cheque, and major Credit and Debit Cards. Debit card payments by Maestro and International Maestro will not be accepted. If you are not paying by credit or debit card, please send your remittance with your order by post. Orders from outside the UK must be by Credit Card to allow your card Issuer to make the necessary exchange rate conversion. The Exchange rate is always that charged by your Credit Card Company on the date of the transaction. Card transactions will not be authorised for payment prior to date of despatch.